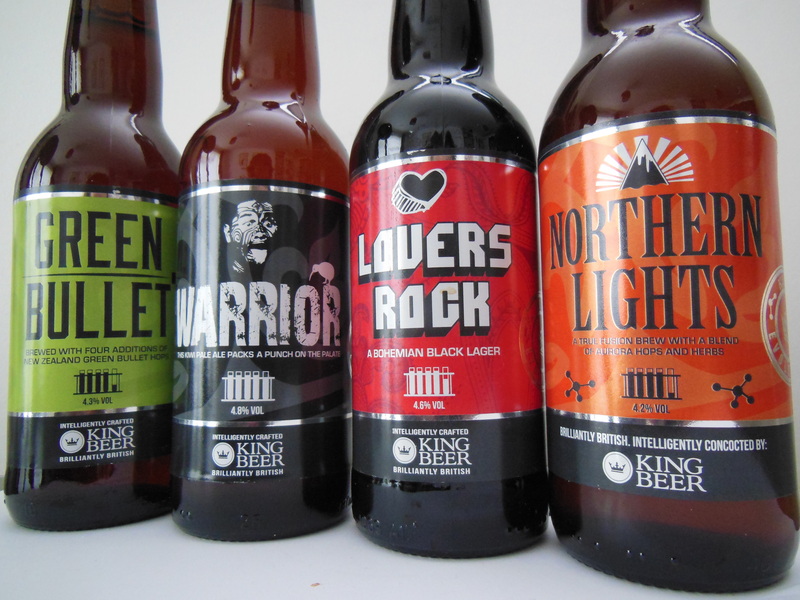 King Beer re-branded back in September 2013, so how’s it all coming along? Six months ago I was invited along to the brewery of what was then known as WJ King. They were getting ready for their open day where they were to reveal their new branding as King Beer. A handful of us bloggers and writers were being treated to an advance preview of the new-look Kings and along with a few samples and a cheese board we were given the lowdown on things to come. “Give a man a beer, waste an hour. Teach a man to brew, waste a lifetime”. The work of WJ King’s Head Brewer Ian Burgess certainly hasn’t gone to waste, as King’s prepare to take things to a brand new level. At the back of a small industrial estate, in the old market town of Horsham, West Sussex, there’s a beer evolution happening. Horsham has a rich brewing heritage (it’s currently home to Hepworth & Co and Weltons as well as WJ King’s) and is formerly the home of the big boys- King and Barnes. They disappeared from the scene back in 2000 but their 200 year old heritage lives on in the Mash Tun and Copper of WJ King, now owned by Niki and Justin Deighton. The micro-brewery has been successfully brewing traditional real ales with Ian at the helm for the past 3 years, supplying real ale fans with the likes of Brighton Blonde, Horsham Best, Kings Old and Festive (to name but a few), but the market for real ale is changing and evolving and as Sussex leads the way by being home to some of the best breweries in the country, King’s are evolving too, determined to be at the forefront of the scene. 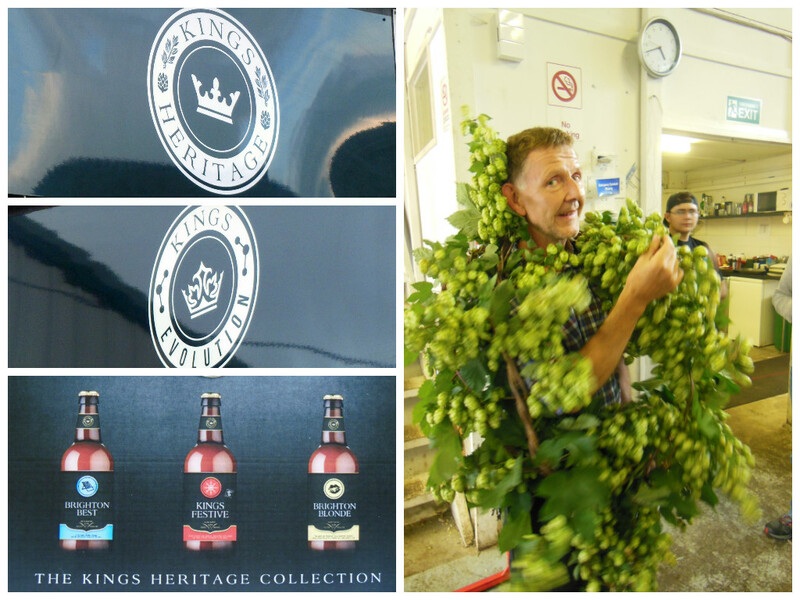 This will involve dropping a few of their existing beers, but the most popular will stay under their new ‘Kings Heritage’ branding. Then there’s ‘Kings Evolution’, a second branding for what will be their future, more innovative and edgier beers- craft brewing with a nod to the likes of Brewdog. Kings will be one brewery with two distinct directions. a cleaner, bolder and more modern design, yet still retaining a classic feel. Plus, now two ‘stamps’ exist: one for ‘Kings Heritage’ to include the crown logo surrounded by hop motifs and one for ‘Kings Evolution’, still with the crown logo, but this one replaces the hops with molecular strands. 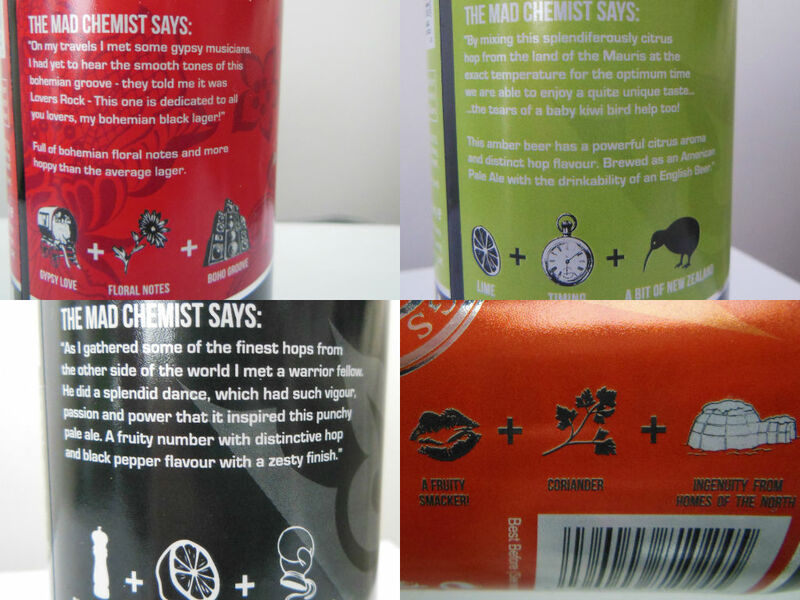 Kings aren’t new to innovative techniques, they were the first to include QR codes on their beer clips, (with links to videos about the beer) but this bold new move is another beast entirely, a very exciting one at that, and with talk of cherry, hibiscus and absinthe flavours, I can’t wait to ‘waste’ some more time with them. So what’s happened in the 6 months since this re-brand? Well the brewery team certainly haven’t wasted any time, with Ian and second brewer Shaun creating some fantastic brews for their new Evolution Collective (which includes a new-look Green Bullet), whilst not letting the quality slide on their existing Heritage Collection- now including new flagship beer Poachers Moon and new IPA- Lost Kingdom. Many of you will have seen the new beers being showcased at this years Craft Beer Rising festival, an event that was a resounding success for the team (they even had to get another batch of bottles sent up), with Black Symphony on cask being one of the standout favourites. And a fantastic beer it is too- a rich porter providing a smooth roasty base from which tart juniper berry juices explode making way for a toasty, smokey woodiness to balance and mellow it out. Black Symphony went down a storm – its amazing the difference with what pubs will take , what the consumers want and what Sussex pubs will take ! Our mission is to push the brewing boundaries and have fun along the way. Experiment but not to the detriment of our faithful followers and lovers of our beers. Taking it’s name from the Aurora hops used this is described by Kings as being ‘a true fusion brew’ with the addition of coriander. The Aurora hops provide a refreshing citrus- almost marmalade like backdrop through which the coriander herbiness weaves providing pleasant trails of savoury notes and a light spice that lingers after the hop. Green Bullet takes inspiration from hoppy APA’s and although not new to the Kings line-up it lends itself perfectly to their new range. 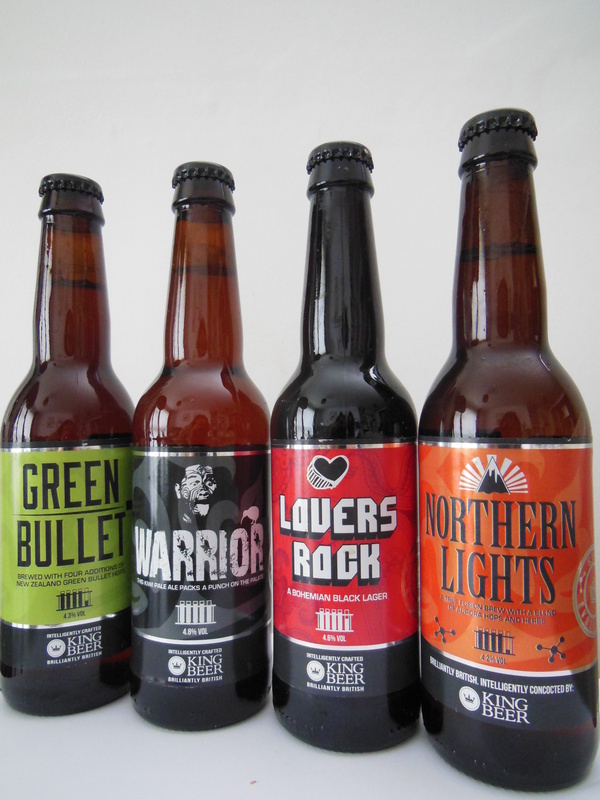 This is a single hop beer – a showcase for the New Zealand hop Green Bullet and with four additions it makes itself known. A wonderful citrus aroma with an immediate, zesty lemon and lime bursting on the palate with grassy notes playfully breezing in and out. A perfect Spring drink and an ideal beer for those that like it hoppy without the high abv. This is the perfect, almost radiant amber in colour and lightly carbonated with a malt aroma. There’s a delicate caramel base on the palate with the spotlight firmly on fruity hops and black pepper spice which fill your mouth, moving boldly between zesty, pithy and spicy with a black pepper finish on the tongue. A black lager with a big flavour this starts with all the roasty trappings of a stout, filling the mouth with huge roast malt flavours. These give way to floral and fruity hops with apricots and a slight pithy bitterness playing off one another with a delicate smoked edge in a crisp, refreshing end.